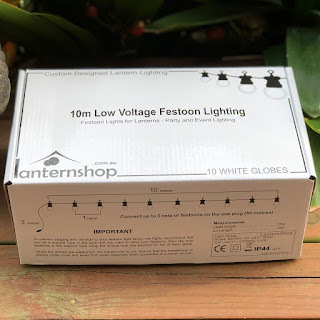 Lanternshop: New Stock - Festoon Lighting Has Now Arrived! 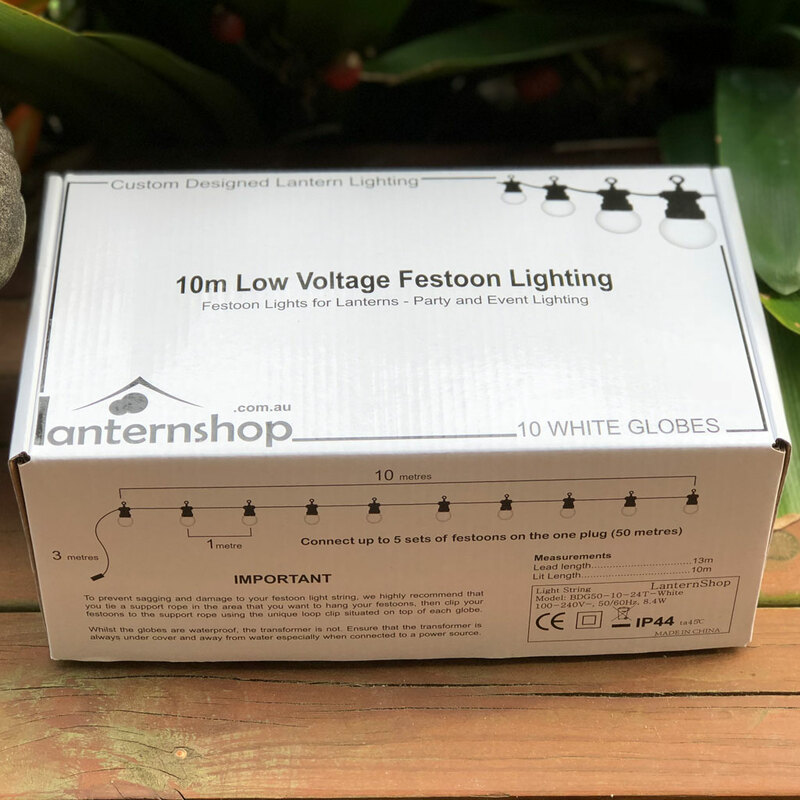 New Stock - Festoon Lighting Has Now Arrived! 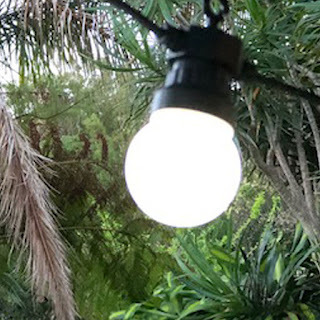 Stunning wedding and party lighting has just arrived! 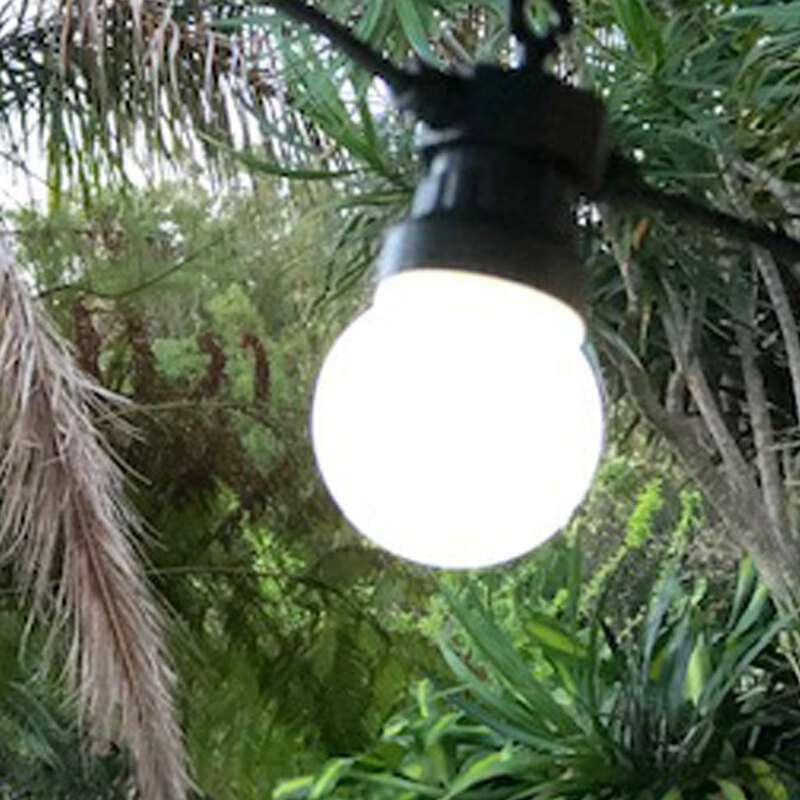 Custom designed and made by Lanternshop.com.au to suit our lanterns, our extra long (10m) strings of low voltage festoon lights are available in warm white and white globes. 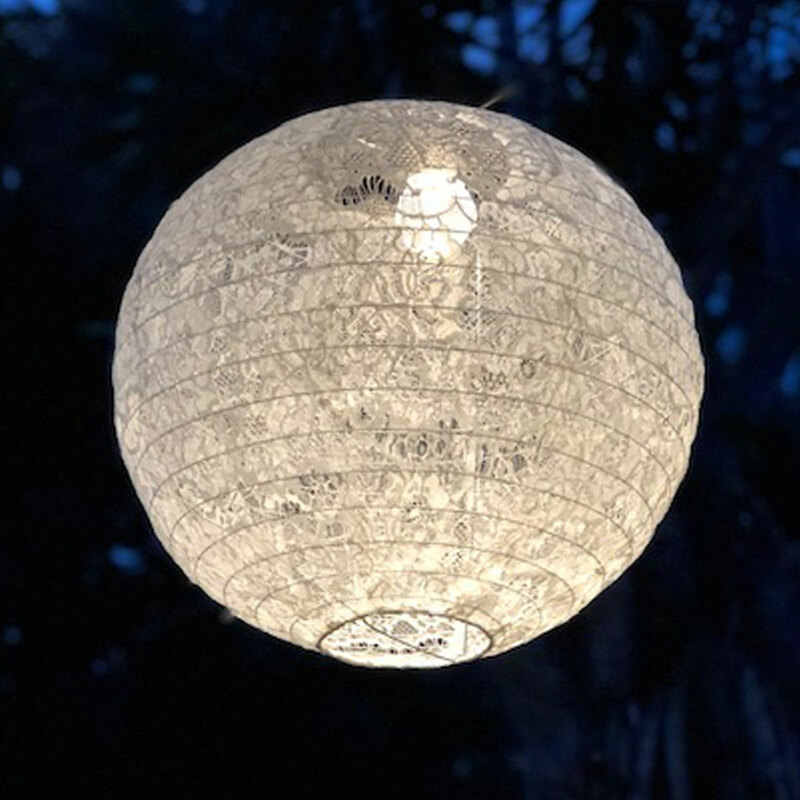 Bright and beautiful, connect up to 50m of party lighting together, and hang lanterns from the lights for an even more spectacular lighting feature. 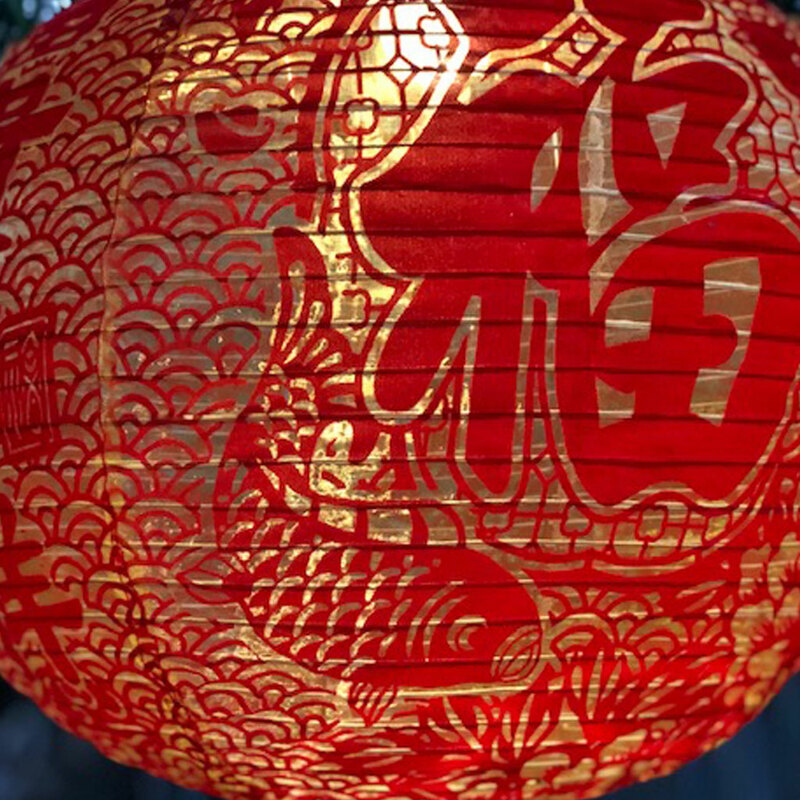 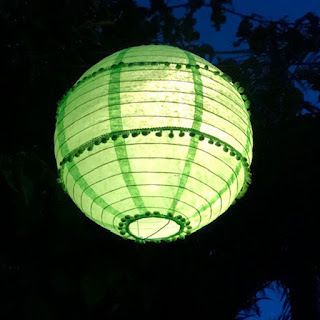 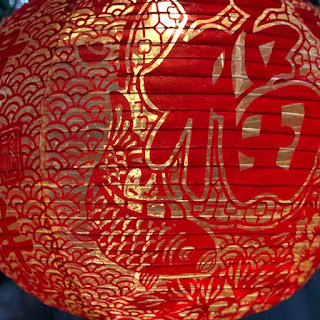 Lantern lighting for our paper and nylon lanterns, choose the lanterns to suit your theme - weddings, parties, Chinese New Year, Moon Festival, school formals, corporate events or for backyard events at home! 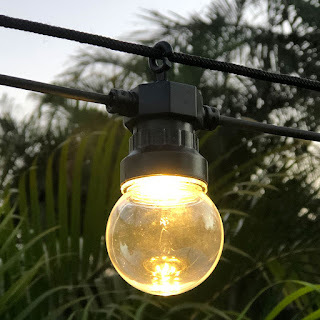 Great value lighting, easy to hang - these festoon lights will transform your event space. Free standard shipping within Australia for orders over $50.00 - stock is held in our Australian warehouse ready for immediate dispatch.